bland and disconnected from the Brazilian soul. the government, half of the nation’s pupils do not pass the first school year and many do not attempt to repeat it. are able to go, there aren’t enough schools, teachers or desks to go around. for the lessons. Some schools have classes at night for those children who work during the day. daythey show that some programs are successful. musical influences from three different continents, the music of the people is still creating new and original forms. samba, was first performed at the Rio Carnaval in 1917, though its origins go back much further. national symbol. It is the music of the masses. choro, a romantic intimate music with a ukulele or guitar as its main instrument, playing off against a recorder or flute. since become a cult figure among Rio’s gay community, and Carnaval in Rio sees many of them impersonating her. 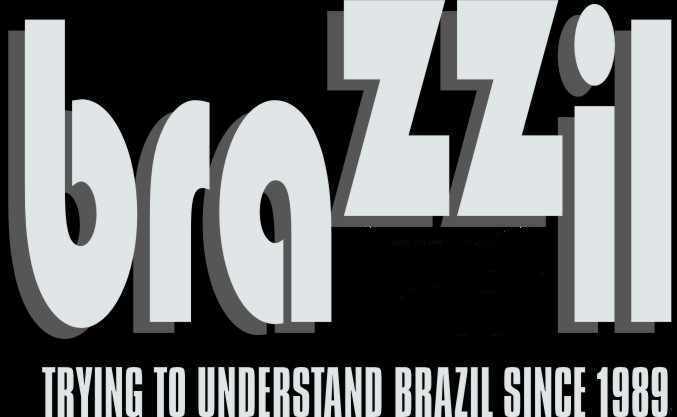 bossa nova, and the democratic nature of Brazilian music was altered. bossa nova voice, who became Brazil’s most beloved singer, was Elis Regina. Juscelino Kubitschek from 1956 to 1960.
tropicalismo burst onto the scene. to innovations like the introduction of the electric guitar and the sound of electric samba. are hard to categorise: they are simply known as exponents of MPBMúsica Popular Brasileira (Popular Brazilian Music). as is Paulinho da Viola, a master sambista who also bridges the gap between traditional samba and pop music. the Rio hills with more modern forms from the ’70s and ’80s, always with beautiful melody. the spirituality of the Mineiro (someone from Minas). Brazilian RockDerived more from English than American rock, this is the least Brazilian of all Brazilian music. Brazil you’ll hear regional specialties. Another distinctive type of music is the wonderful Bumba Meu Boi festival sound from São Luís in Maranhão. (Afro-Brazilian religion), and primarily found in Bahia. the growth of a black-consciousness movement in Bahia. Nordestinos (people from the Northeast) who have occupied a good part of the Amazon region since the end of last century. African influence on Brazilian music and the Brazilian use of music as a celebration of communication. and Moraes Moreira, and even Caetano Veloso. and Milionário, Chitãozinho and Xororó, and Leandro and Leonardo. music of the flamboyant Daniela Mercury. included backing by Milton Nascimento and the popular Grupo Cultural Olodum from Bahia. as to their quality compared to "imported" CDs. They cost around $12 to $15. Flemish artists, such as Frans Post, who painted the flora and fauna in their tropical surroundings. sculptor and architect Antônio Francisco Lisboa, better known as Aleijadinho. romanticism, impressionism, academicism and modernism. native, expressionist influences into a powerful, socially conscious and sophisticated style. part of the Indian way of life. has destroyed their environment, their way of life, and left no other purpose for their art. create necklaces, bracelets, earrings, headdresses, capes and blankets. decorate their bodies with intricate designs of great beauty. state of Acre is especially skilled at producing woven bags and baskets to transport or store forest foods. considered to be the finest example of Portuguese colonial architecture in the world. in Congonhas, represent the golden age of Brazilian baroque architecture. best writers have not been translated. Dom Casmurro (Avon Bard, 1980). through the petty worlds of military and academic politics. Night (Avon Bard, 1980) inspired our first visit to Brazil. pre-eminent authors His Macunaíma is comic and could only take place in Brazil. The Women of Brazil is about a Portuguese girl who goes to 17th-century Brazil to meet her betrothed. The Order of the Day (Avon Bard, 1986), is disappointing. The Impostors (Avon Bard, 1987) by Pablo Vierci is a humorous novel about Amazon mayhem. the military government until a national protest helped lift the ban. patriarchy which run through Brazil’s history. also by native Indians, black Africans, and other settlers from Europe, the Middle East and Asia. daily use in Brazil, such as hammocks, dugout canoes, thatched roofing, and weaving techniques. claim they’re saving up for their tombs! the native Brazilians remain untouched by TV soap operasfor the time being. that Americans tell Polish jokes and Australians and Brits tell Irish jokes. always turns to football, criticism of the government, family matters or the latest twist in the current soap opera. So what unifies the Brazilians? The Portuguese language, love of football, Carnaval and the sound of samba. samba and you may begin to understand what it is to be Brazilian. Officially, Brazil is a Catholic country and claims the largest Catholic population of any country in the world. terreiro de umbanda, the house of one of the Afro-Brazilian cults. the representations of the Catholic saints. worship all religions. But the African cults continued to suffer persecution for many years. fascination of whites with the spiritualism of Kardecism. that worship Catholic saints, African deities and the Caboclos of the Indian cults simultaneously. example, everything related to money, love, and protection against thieves comes under the watchful eye of Exu. Ultimately, Exu’s responsibility is the temporal world. Tambor is used in Maranhão. terreiro to the next. Not all ceremonies are open to the public. terreiro; and if you wish to smoke, you should only do so outside. latter, there’s no offence taken if you don’t eat or drink what’s offered. used to interpret your luck, your future and your past relation with the gods. white towel. She interprets the number and arrangement of face-up and face-down shells to predict the future. the week, except for Friday and Monday, but Thursday is best. they are legitimized by the cult’s mythology. earrings, necklaces, mirrors, perfumes, champagne and honey. should be revered in a forest or park, but Xangô, the god of stone and justice, receives his offering in rocky places. the sea to please the mother of the waters, or to gain protection and good luck in the New Year. various sources, but in its present form it is a religion native to Brazil. The African influence is more Angolan/Bantu. pai or mãe de santo modifies the religion. practice of Quimbanda is illegal. do Amanhecer, and Eclética de Mestre Yocanan. A few of the Indian rites have been popularized among Brazilians without becoming part of Afro-Brazilian cults. Two such cults are União do Vegetal in Brasília, São Paulo and the South; and Santo Daime in Rondônia and Acre.